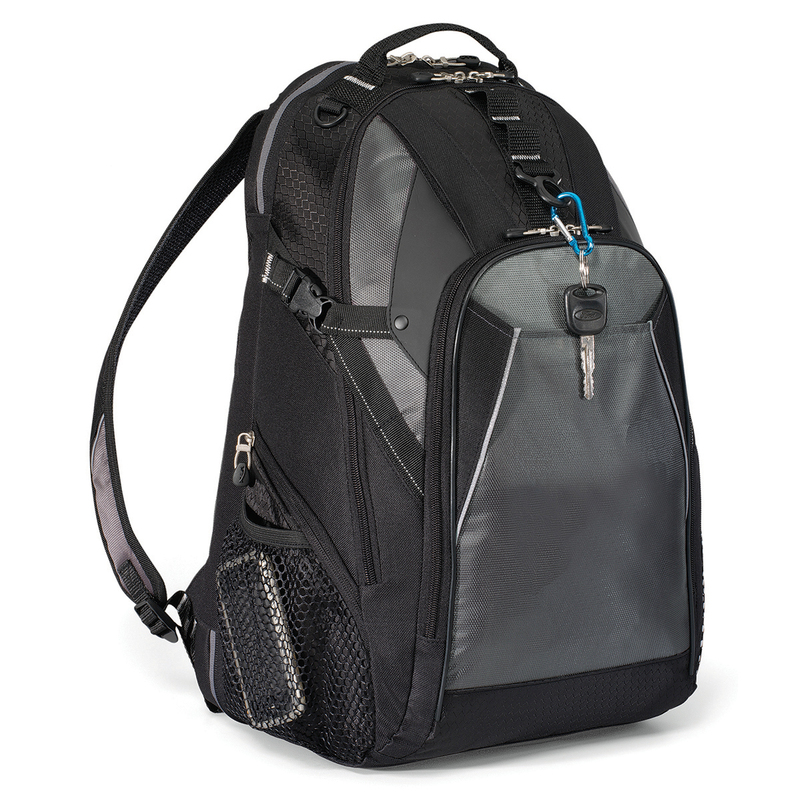 An innovative and versatile computer backpack that offers comfort and durability during your travels and protects your laptop, tablets, or any other gadgets while on the go! Explore the world in style in the company of this computer backpack! Designed to be a rugged computer backpack for your work or outdoor activities. With its 36 litre capacity, you can carry more items other than you laptop or gadgets. Made from 420D Dobby / 420D Honeycomb, this backpack will offer you durability and comfort. It features a front zippered pocket with multi-function organizer and padded sleeve to store tablet or e-reader, back features Viewpoint System zippered compartment to store and protect laptop (fits up to 15.4" laptop) during travel, opens flat to expedite airport security check-in, large main compartment for maximum storage, top zippered pocket for small accessories, dual side zippered pockets featuring exterior mesh pockets for accessories and water bottle (water bottle not included), generously padded back panel for carrying comfort, and adjustable, padded shoulder straps and top grab handle.